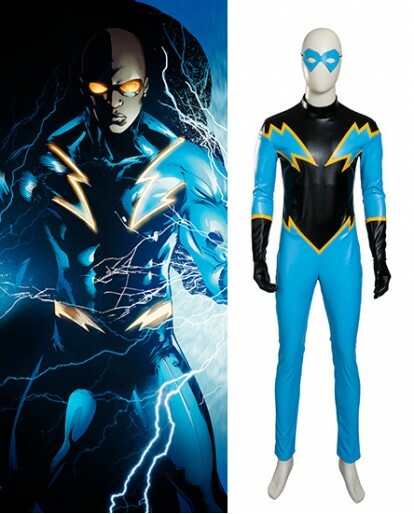 Tired of the same old superhero ensemble and want something special? This Black Lighting Cosplay costume is what you’re looking for. It is not just any replica, it’s THE replica.100% original look. Available in all sizes and can be custom made. Made in the good quality synthetic leather fabric. The costume is good for stretching and smooth. Tired of the same old super hero ensemble and want something special? This Black Lighting Cosplay costume is what you’re looking for. It is not just any replica, it’s THE replica.100% original look.